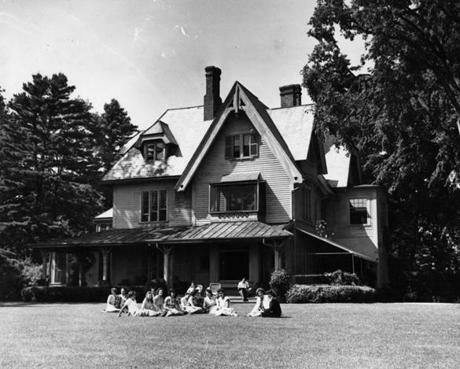 The “Tanglewood” house, summer 1946. 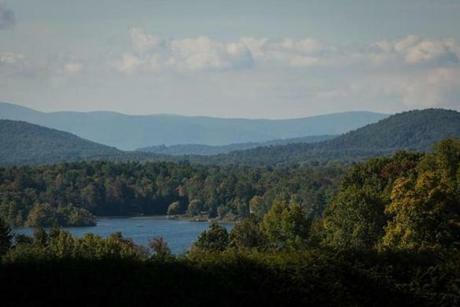 The 210-acre estate of Mrs. Gorham Brooks and Miss Mary Aspinwall Tappan was given to the BSO in 1936. 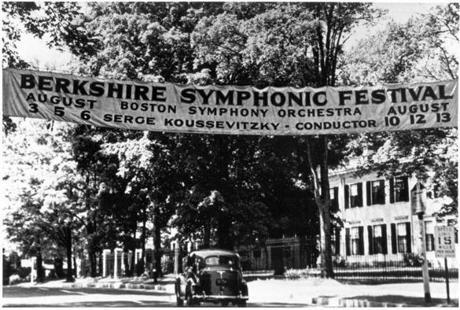 Berkshire Symphonic Festival Banner in 1939. 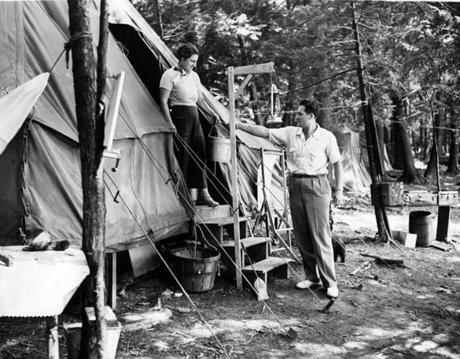 One of the tents in which a group of Boston Symphony Orchestra members are camping during the Berkshire Symphonic Festival at Tanglewood, August 1939. Mrs. Rene Voisin takes a pail of Lake Makheenac water from her son, Roger, of the orchestra. 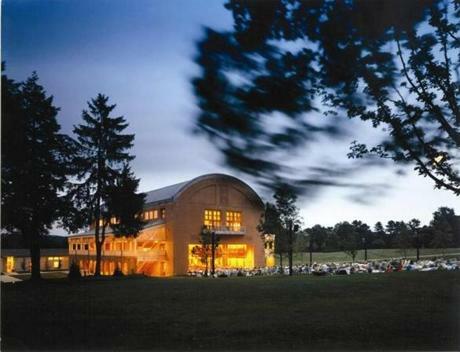 Most of the orchestra members choose hotels, or cottages for the 12 to 14 days’ stay in the heart of the Berkshires, but a few prefer camping. 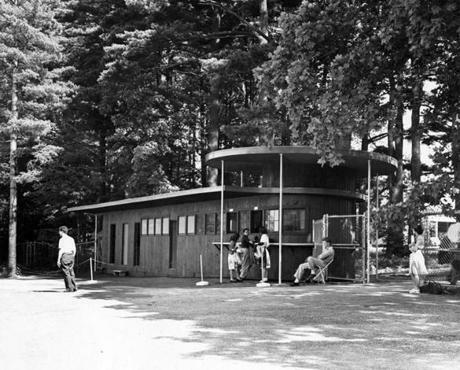 The ticket and information office at Tanglewood, summer 1946. The Music Shed at Tanglewood, summer 1946. 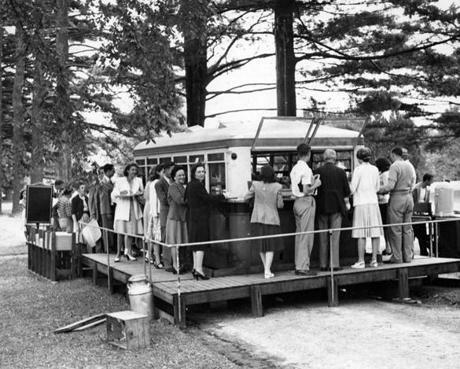 Lunch is served from a school bus remodeled into a mobile cafeteria and backed up to a platform with ramps at Tanglewood, summer 1946. 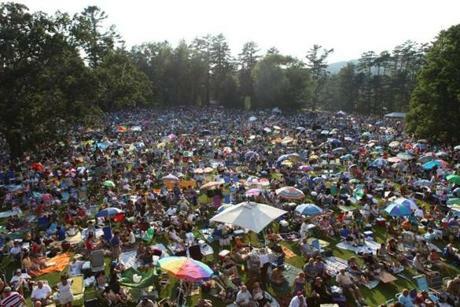 Tanglewood Lawn audience, ca. 1955. 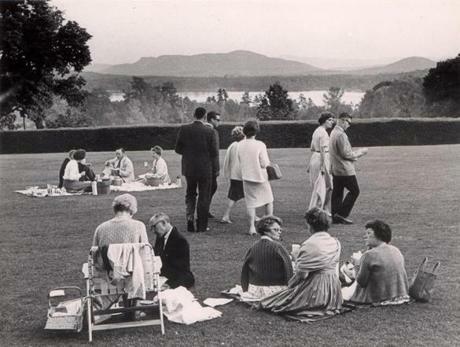 Tanglewood guests arrive early to be sure of getting good seats for the concert in 1965. 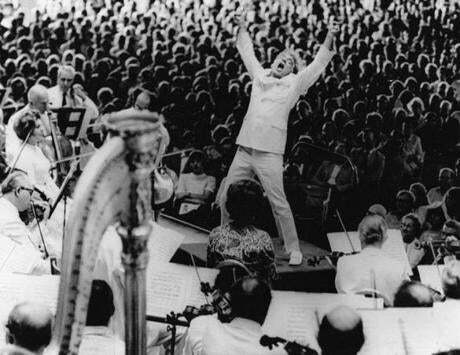 Leonard Bernstein at the climax of Mahler’s “Ressurection” Symphony performed by the Boston Symphony at Tanglewood on July 5, 1970. The sellout crowd gave the guest conductor an 11-minute standing ovation. 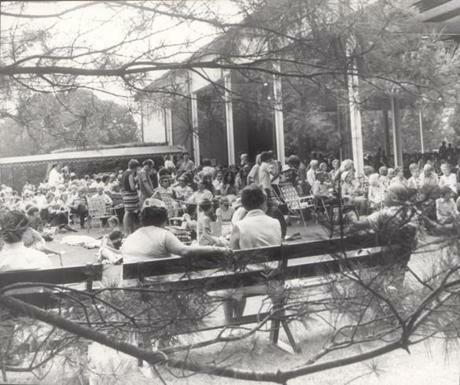 The crowd at Tanglewood for a performance of Beethoven at the Berkshire Festival, July 16, 1972. 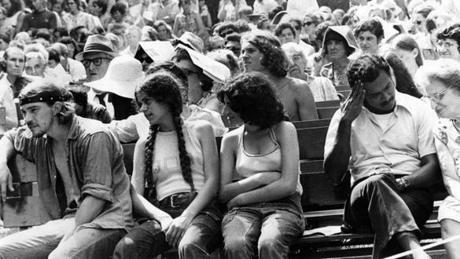 The crowd waits for the show to begin at Tanglewood in 1972. 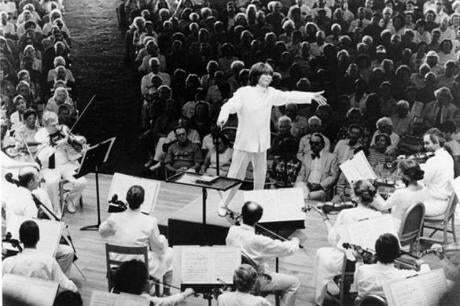 Seiji Ozawa leads the Boston Symphony Orchestra in the Shed at Tanglewood. 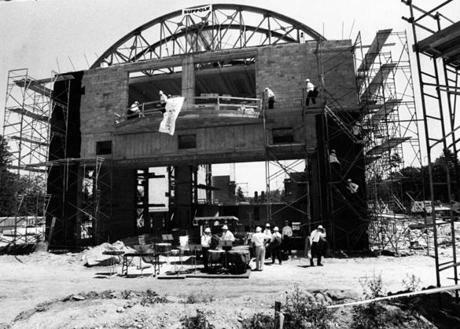 The Seiji Ozawa Hall under construction, July 1993. 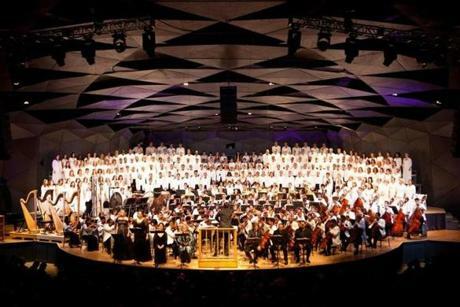 The hall at Tanglewood Music Center is intended to seat 1,200 people with room for 2,000 more on the lawn. 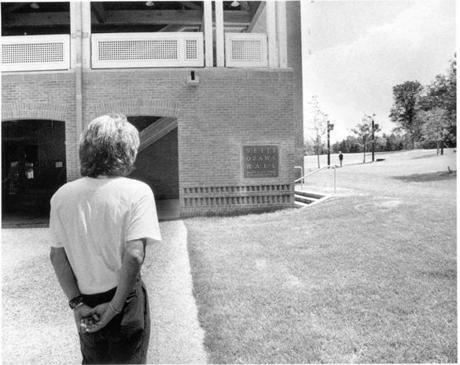 Seiji Ozawa in a moment of reflection, in front of Seiji Ozawa Hall at Tanglewood in 1994. 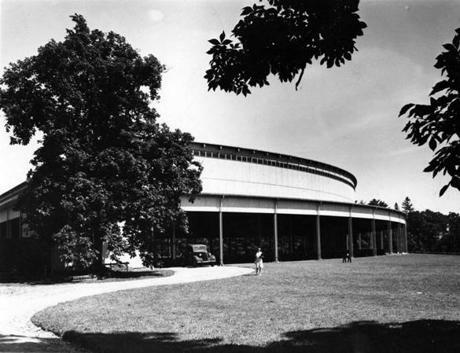 Seiji Ozawa Hall, designed by William Rawn. 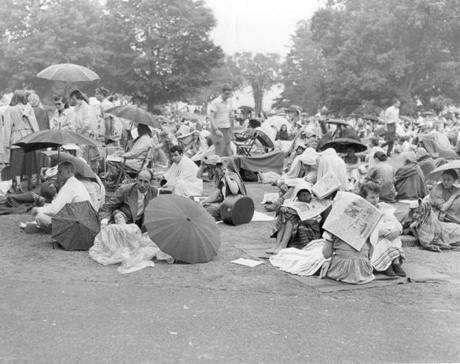 The crowd at the James Taylor and Carole King performance in 2010. A view of the Stockbridge Bowl, also known as Lake Mahkeenac, as seen from the lawn at Tanglewood. 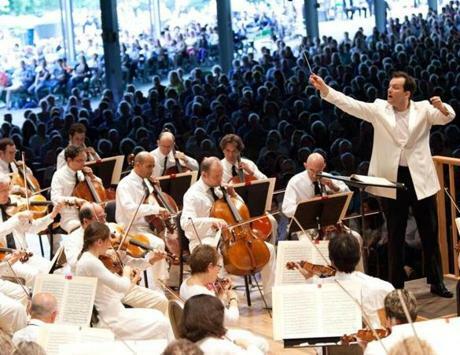 The Tanglewood Music Center celebrated its 75th anniversary with a gala, and performance of Mahler’s Symphony No 8, “Symphony of a Thousand,” conducted by BSO Music Director Andris Nelsons.